The fourth annual Indigenous Business Month this year will celebrate Aboriginal and Torres Strait Islander women in business, to coincide with the 2018 NAIDOC theme Because of Her, We Can. 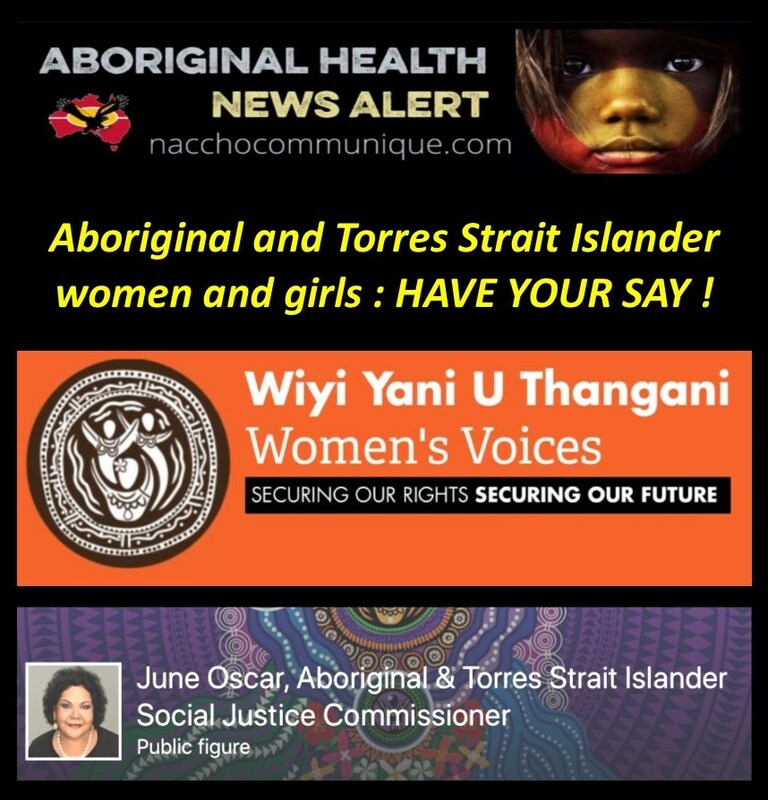 Wiyi Yani U Thangani Women’s Voices project. This World Mental Health Day – on Wednesday 10 October – will be the biggest yet in Australia, with more than 700 organisations, companies, community groups and charities taking part, as well an official Guinness World Record Attempt in Wagga Wagga to raise awareness and reduce stigma. 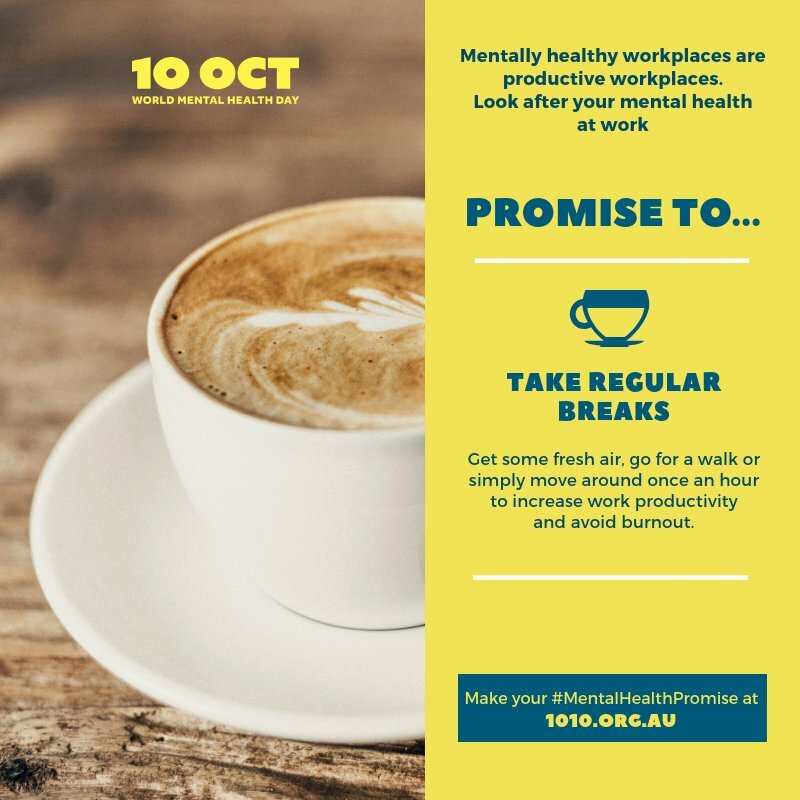 The ‘Do You See What I See?’ campaign encourages people to make a #MentalHealthPromise and shed a more positive light on mental health in a bid to reduce stigma for the one in five Australians who are affected by mental illness annually. More than 700 organisations have engaged with the campaign already this year, which has also seen more than 20,000 mental health promises made by individuals at http://www.1010.org.au . Five days out from World Mental Health Day itself, on Wednesday 10 October, Mental Health Australia CEO Frank Quinlan says this year’s response has been the biggest ever. “Year-on-year the interest in World Mental Health Day continues to grow and to me that’s a clear sign that we are reducing stigma, and more and more people are prepared to talk and hopefully seek help,” said Mr. Quinlan. To help celebrate this year’s World Mental Health Day, and to add to the success of the campaign, Mental Health Australia has also linked up with the Wagga Wagga City Council and Bunnings Warehouse to attempt a Guinness World Record for the most number of people wearing high visibility vests in one location. Aimed to again shed a positive light, and raise the visibility and awareness of mental health in a community, particularly amongst young men, tradies, farmers and their families, the high-viz world record attempt in Wagga on World Mental Health Day has already seen the people of the Riverina come together. “We often speak about mentally healthy communities and this fun Guinness World Record Attempt has been a great opportunity to engage with, and unite the people of Wagga Wagga for a common goal,” said Mr. Quinlan. Mental Health Australia would like to thank all the organisations who have shown their support this year and will be helping to raise awareness and reduce stigma next Wednesday 10 October on World Mental Health Day. In 2017 we supported more than 60 ACCHS to run community events during ATSIHAW. 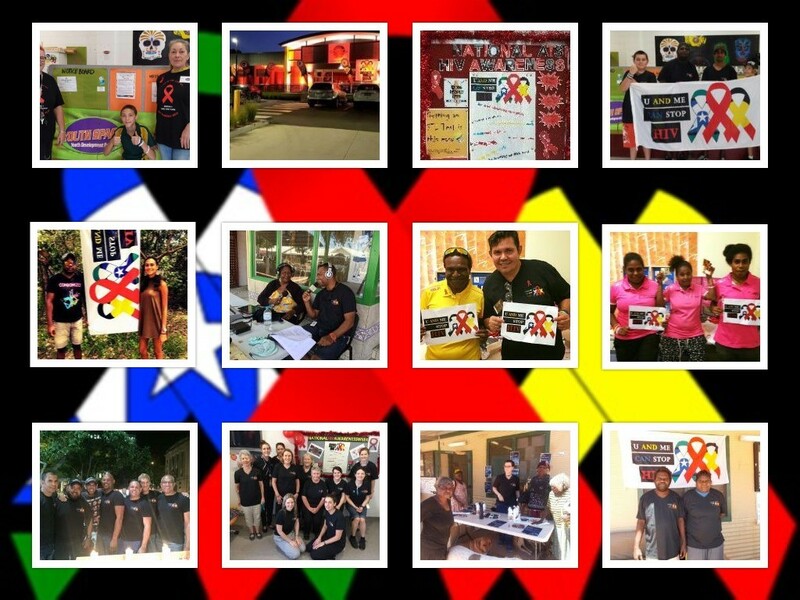 ATSIHAW coincides each year with World AIDS Day- our aim is to promote conversation and action around HIV in our communities. 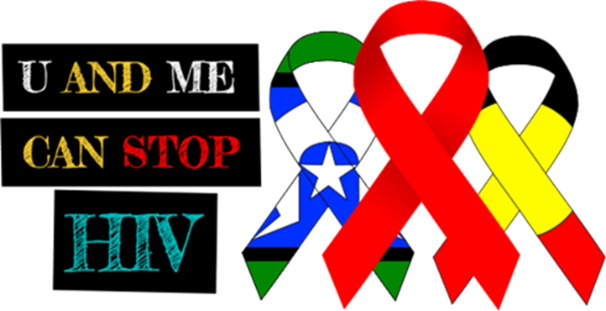 Our long lasting theme of ATSIHAW is U AND ME CAN STOP HIV”. Once registered we will send merchandise to your service to help with your event. Promote good health and well-being through the delivery of health services to and by Indigenous and non-Indigenous people throughout Australia. 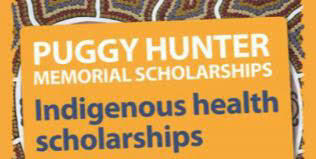 The Puggy Hunter Memorial Scholarship Scheme is designed to encourage and assist undergraduate students in health-related disciplines to complete their studies and join the health workforce. 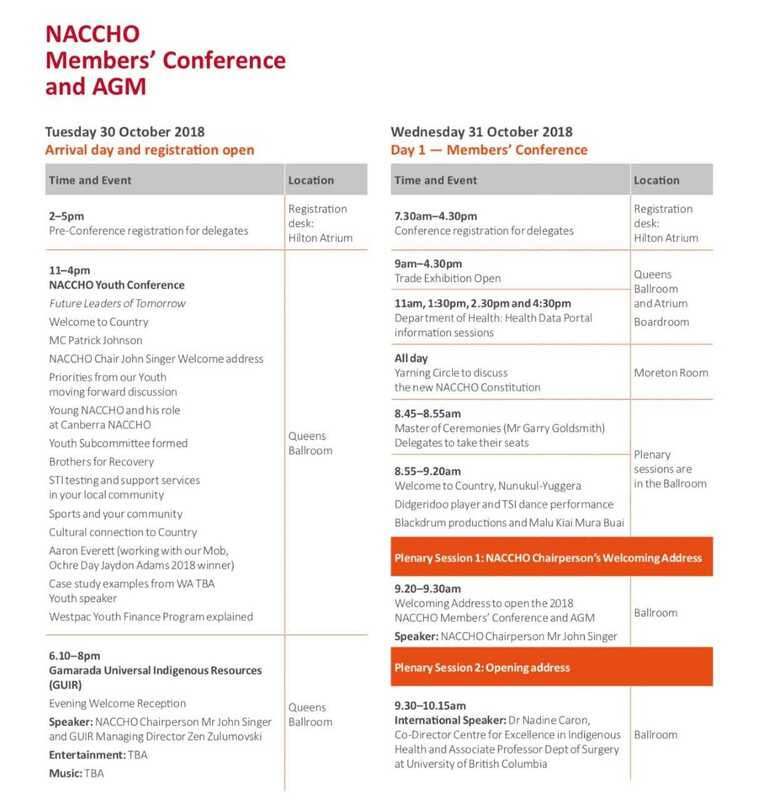 Puggy was the elected chairperson of the National Aboriginal Community Controlled Health Organisation, (NACCHO), which is the peak national advisory body on Aboriginal health. 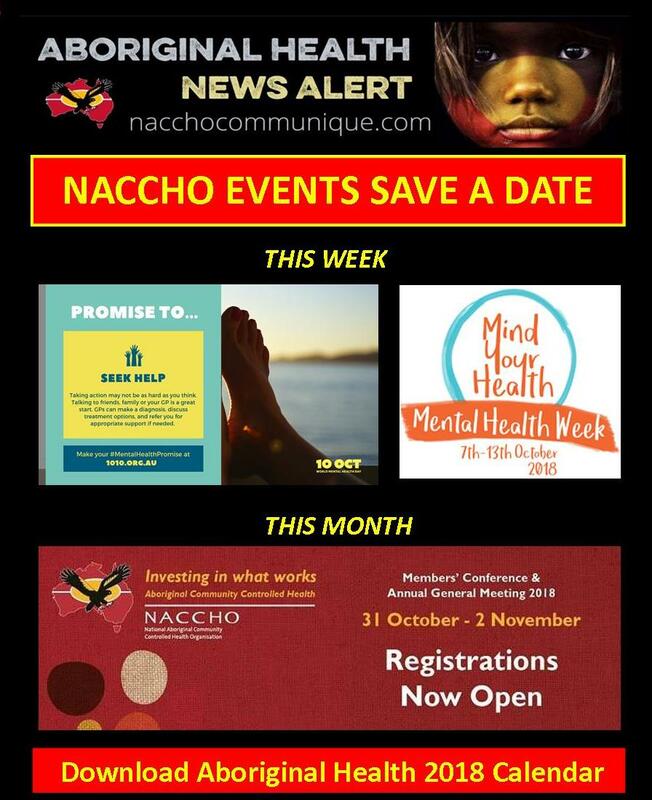 NACCHO has a membership of over 144 + Aboriginal Community Controlled Health Services and is the representative body of these services. Puggy was the inaugural Chair of NACCHO from 1991 until his death. Puggy was the vice-chairperson of the Aboriginal and Torres Strait Islander Health Council, the Federal Health Minister’s main advisory body on Aboriginal health established in 1996. He was also Chair of the National Public Health Partnership Aboriginal and Islander Health Working Group which reports to the Partnership and to the Australian Health Ministers Advisory Council. He was a member of the Australian Pharmaceutical Advisory Council (APAC), the General Practice Partnership Advisory Council, the Joint Advisory Group on Population Health and the National Health Priority Areas Action Council as well as a number of other key Aboriginal health policy and advisory groups on national issues. The scheme provides scholarships for Aboriginal and/or Torres Strait Islander people studying an entry level health course. Applications for PHMSS 2019 scholarship round are now open. Click the button below to start your online application. Applications must be completed and submitted before midnight AEDT (Sydney/Canberra time) Sunday 14 October 2018. After this time the system will shut down and any incomplete applications will be lost. Applicants must identify as and be able to confirm their Aboriginal and/or Torres Strait Islander status. Courses must be provided by an Australian registered training organisation or university. Funding is not available for postgraduate study. intending to study in the academic year that the scholarship is offered. A significant number of applications are received each year; meeting the eligibility criteria will not guarantee applicants a scholarship offer. Funding is provided for the normal duration of the course. Full time scholarship awardees will receive up to $15,000 per year and part time recipients will receive up to $7,500 per year. The funding is paid in 24 fortnightly instalments throughout the study period of each year. Describe what has been your driving influence/motivation in wanting to become a health professional in your chosen area. Discuss what you hope to accomplish as a health professional in the next 5-10 years. Discuss your commitment to study in your chosen course. Outline your involvement in community activities, including promoting the health and well-being of Aboriginal and Torres Strait Islander people. The scholarships are funded by the Australian Government, Department of Health and administered by the Australian College of Nursing. The scheme was established in recognition of Dr Arnold ‘Puggy’ Hunter’s significant contribution to Aboriginal and Torres Strait Islander health and his role as Chair of the National Aboriginal Community Controlled Health Organisation. disease at each health service visit. or call Daniela Doblanovic on 03 8699 0528. 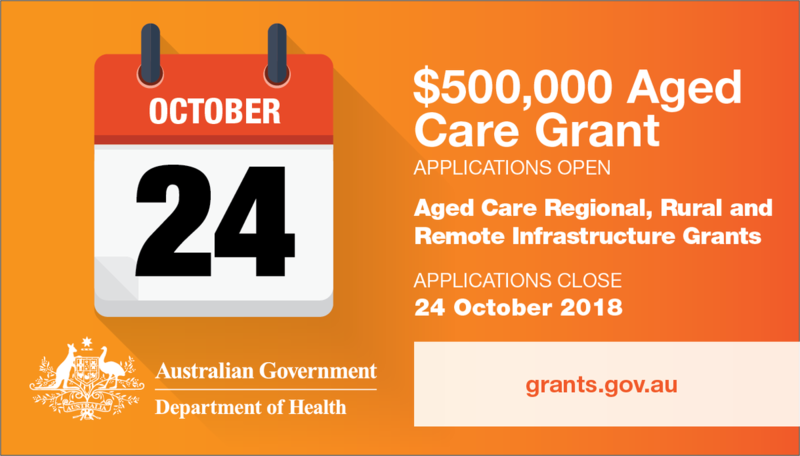 This grant opportunity is designed to assist existing approved residential and home care providers in regional, rural and remote areas to invest in infrastructure. Commonwealth Home Support Programme services will also be considered, where there is exceptional need. Funding will be prioritised to aged care services most in need and where geographical constraints and significantly higher costs impede services’ ability to invest in infrastructure works. Up to $500,000 (GST exclusive) will be available per service via a competitive application process. currently operating an aged care service located in Modified Monash Model Classification 3-7 or if a CHSP provider, the service is located in MMM 6-7. (MMM Locator). Throughout October, twenty national Indigenous Business Month events will take place showcasing the talents of Aboriginal and Torres Strait Islander women entrepreneurs from a variety of business sectors. These events aim to ignite conversations about Indigenous business development and innovation, focusing on women’s roles and leadership. Indigenous Business Month is an initiative driven by the alumni of Melbourne Business School’s MURRA Indigenous Business Master Class, who see business as a way of providing positive role models for young Indigenous Australians and improving quality of life in Indigenous communities. Since the launch of Indigenous Business Month in 2015,  the Indigenous business sector is one of the fastest growing sectors in Australia delivering over $1 billion in goods and services for the Australian economy. The latest ABS Aboriginal and Torres Strait Islander Social Survey 2014-15 shows that only 51.5 percent of Aboriginal and Torres Strait Islander women participate in the workforce compared to Aboriginal and Torres Strait Islander men at 65 percent. The Australian Government has invested in a range of initiatives to increase Aboriginal and Torres Strait Islander women entrepreneurs in the work-placeincluding: [2) Continued funding for girls’ academies in high schools, so that young women can realise their leadership potential, greater access to finance and business support suited to the needs of Indigenous businesses with a focus on Indigenous entrepreneurs and start-ups, and expanding the ParentsNextprogram and Fund pre-employment projects via the new Launch into Work program providing flexibility to meet the specific needs of Aboriginal and Torres Strait Islander women. Indigenous Business Month runs from October 1 to October 31. Check out the website for an event near you (spaces are limited). The initiative is supported by 33 Creative, Asia Pacific Social Impact Centre at the University of Melbourne, Iscariot Media, and PwC. June Oscar AO and her team are excited to hear from Aboriginal and Torres Strait Islander women and girls across the country as a part of the Wiyi Yani U Thangani Women’s Voices project. Whilst we will not be able to get to every community, we hope to hear from as many women and girls as possible through this process. If we are not coming to your community we encourage you to please visit the Have your Say! page of the website to find out more about the other ways to have your voice included through our survey and submission process. We will be hosting public sessions as advertised below but also a number of private sessions to enable women and girls from particularly vulnerable settings like justice and care to participate. Details about current, upcoming and past gatherings appears below, however it is subject to change. We will update this page regularly with further details about upcoming gatherings closer to the date of the events. Please get in touch with us via email wiyiyaniuthangani@humanrights.gov.au or phone on (02) 9284 9600 if you would like more information. If your community is listed below and you would like to be involved in planning for our visit or would like more information, please write to us at wiyiyaniuthangani@humanrights.gov.au or phone (02) 9284 9600. 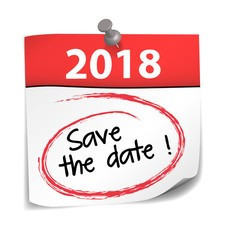 2018 International Indigenous Allied Health Forum at the Mercure Hotel, Sydney, Australia on the 30 November 2018. This Forum will bring together Indigenous and First Nation presenters and panellists from across the world to discuss shared experiences and practices in building, supporting and retaining an Indigenous allied health workforce. This full-day event will provide a platform to share information and build an integrated approach to improving culturally safe and responsive health care and improve health and wellbeing outcomes for Indigenous peoples and communities. Delegates will include Indigenous and First Nation allied health professionals and students from Australia, Canada, the USA and New Zealand. There will also be delegates from a range of sectors including, health, wellbeing, education, disability, academia and community. Building on the foundations of our membership, history and diversity, AIDA is shaping a future where we continue to innovate, lead and stay strong in culture. It’s an exciting time of change and opportunity in Indigenous health. The AIDA conference supports our members and the health sector by creating an inspiring networking space that engages sector experts, key decision makers, Indigenous medical students and doctors to join in an Indigenous health focused academic and scientific program. AIDA recognises and respects that the pathway to achieving equitable and culturally-safe healthcare for Indigenous Australians is dynamic and complex. Through unity, leadership and collaboration, we create a future where our vision translates into measureable and significantly improved health outcomes for our communities. Now is the time to put that vision into action. Gawuwi gamarda Healing Our Spirit Worldwidegu Ngalya nangari nura Cadigalmirung. Calling our friends to come, to be at Healing Our Spirit Worldwide. We meet on the country of the Cadigal. In November 2018, up to 2,000 Indigenous people from around the world will gather in Sydney to take part in Healing Our Spirit Worldwide: The Eighth Gathering. A global movement, Healing Our Spirit Worldwidebegan in Canada in the 1980s to address the devastation of substance abuse and dependence among Indigenous people around the world. Since 1992 it has held a gathering approximately every four years, in a different part of the world, focusing on a diverse range of topics relevant to Indigenous lives including health, politics, social inclusion, stolen generations, education, governance and resilience. 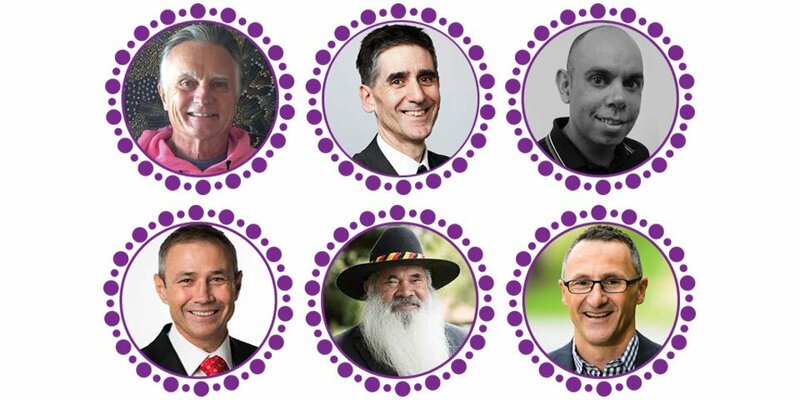 The International Indigenous Council – the governing body of Healing Our Spirit Worldwide – has invited the University of Sydney and The Healing Foundation to co-host the Eighth Gathering with them in Sydney this year. The second gathering was also held in Sydney, in 1994. 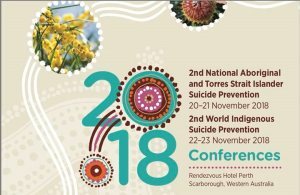 ” The National Aboriginal and Torres Strait Islander Suicide Prevention and World Indigenous Suicide Prevention Conference Committee invite and welcome you to Perth for the second National Aboriginal and Torres Strait Islander Suicide Prevention Conference, and the second World Indigenous Suicide Prevention Conference. Our Indigenous communities, both nationally and internationally, share common histories and are confronted with similar issues stemming from colonisation. Strengthening our communities so that we can address high rates of suicide is one of these shared issues. The Conferences will provide more opportunities to network and collaborate between Indigenous people and communities, policy makers, and researchers. The Conferences are unique opportunities to share what we have learned and to collaborate on solutions that work in suicide prevention. This also enables us to highlight our shared priorities with political leaders in our respective countries and communities. Indigenous Eye Health and co-host Aboriginal Medical Services Alliance Northern Territory (AMSANT) are pleased to announce the Close the Gap for Vision by 2020 – National Conference 2019 which will be held in Alice Springs, Northern Territory on Thursday 14 and Friday 15 March 2019 at the Alice Springs Convention Centre. 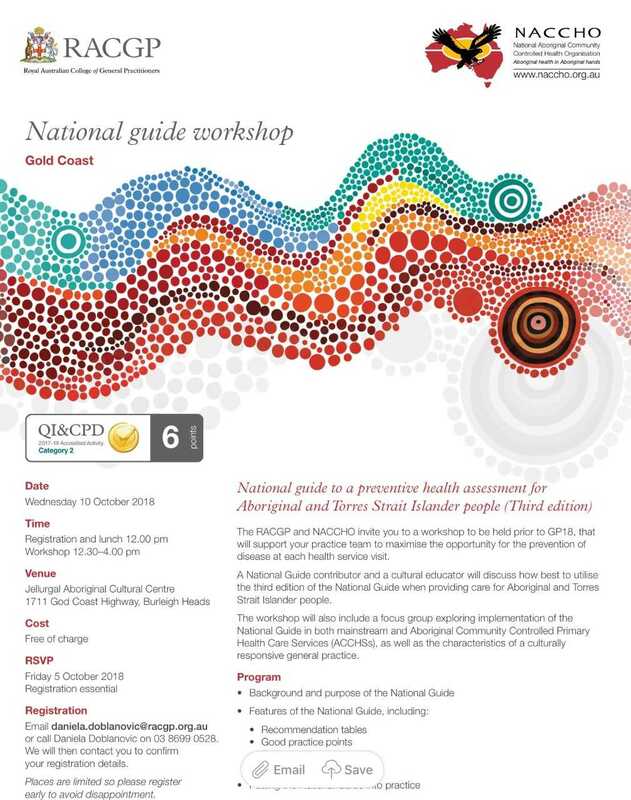 The 2019 conference will run over two days with the aim of bringing people together and connecting people involved in Aboriginal and Torres Strait Islander eye care from local communities, ACCOs, health services, non-government organisations, professional bodies and government departments from across the country. We would like to invite everyone who is working on or interested in improving eye health and care for Aboriginal and Torres Strait Islander Australians.